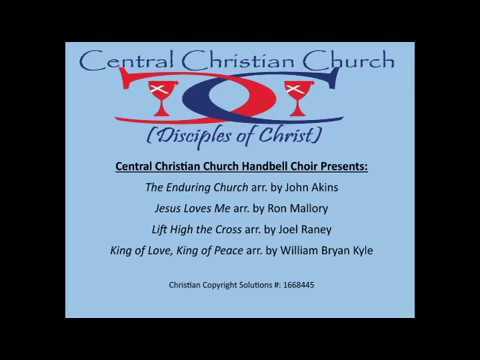 The Music Ministry of Central Christian Church functions to provide musical leadership for the people of God in the worship of God. Through the various musical opportunities available to our congregation we seek to involve all who wish to devote themselves to regular rehearsal in order to offer our best musical offering to God and to the work of the church through worship and service. Scroll down to read more about our choirs and to see special events by the choirs during our worship services. 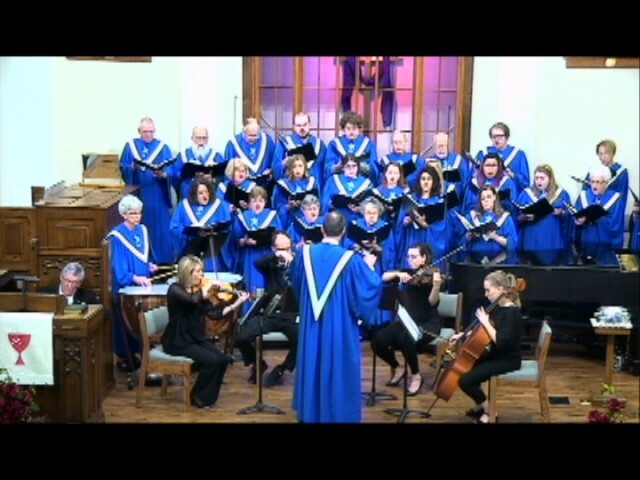 The Chancel Choir is the primary ensemble of the music ministry. This choir of volunteers and paid section leaders presents a wide variety of sacred choral literature in weekly worship from September through July and presents seasonal cantatas during Advent and on Palm Sunday. We welcome new members! Please join us! The Handbell Choir consists of 12 volunteer ringers who rehearse weekly from September to May and offer their music in worship monthly and periodically in the community. 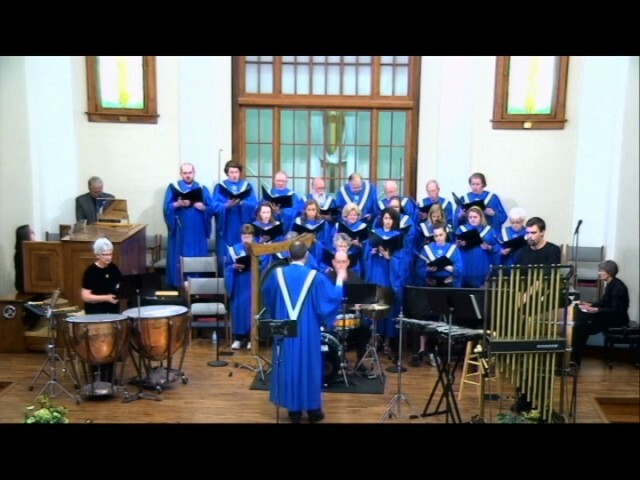 The choir plays three octaves of Malmark handbells. Membership is open to all music readers. You are welcome to join us! Contact the church office for more information. 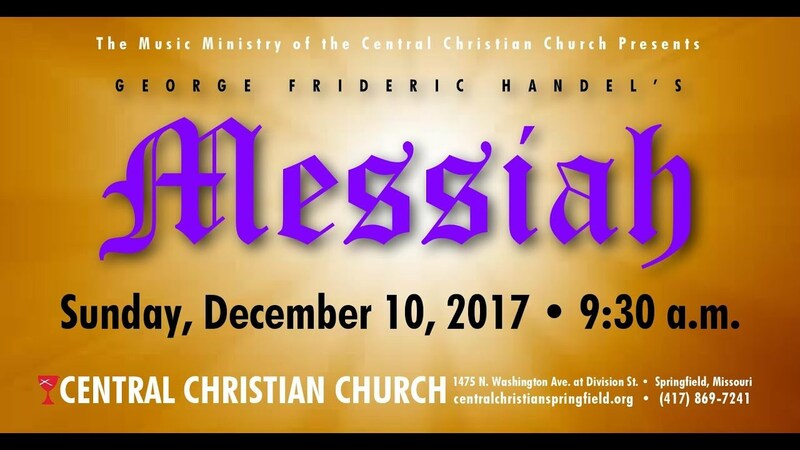 Selections from George Frideric Handel's "MESSIAH"
"All Things Were Made by Him"
Choir Cantata: "It Was His Love"
The organ of Central Christian Church, Opus 820 of the Reuter Organ Company of Lawrence, Kansas, was dedicated on Sunday, February 1, 1947. The instrument was rebuilt and enlarged by the Quimby Pipe Organ company of Warrensburg, Missouri and rededicated on November 8, 2015. 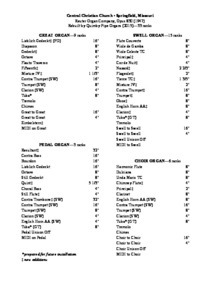 Download "Central Christian Church Springfield, MO Reuter Organ Opus 830 Rebuilt Quimby.pdf"